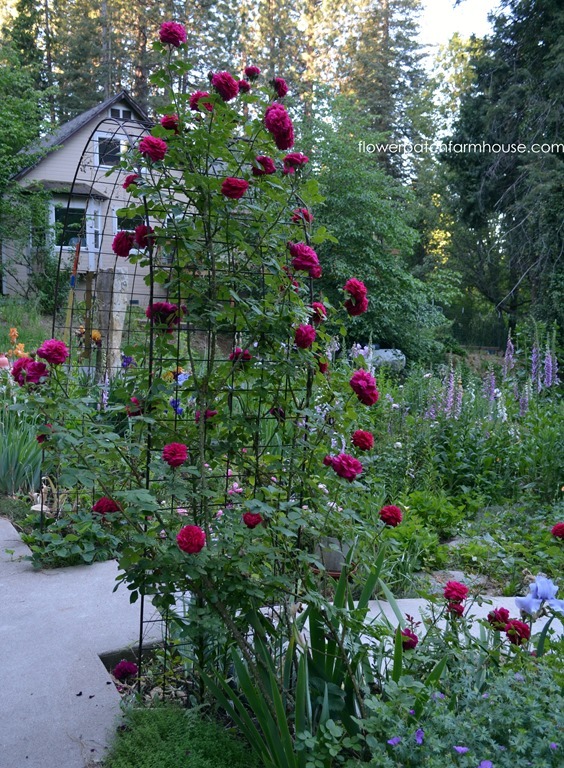 Are you ready for some eye candy then come join me for my June 10 Garden Tour! 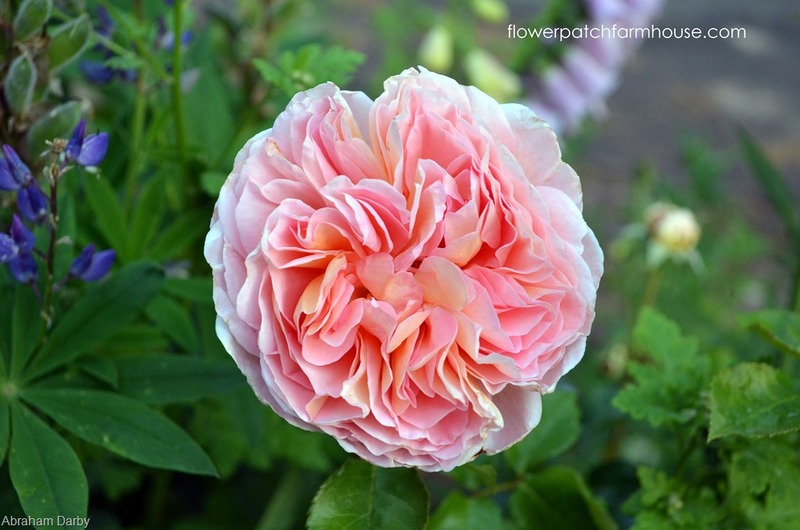 You wont’ be disappointed, there are roses, Canterbury bells and more! Then, have I got a treat for you. So come join me on a garden walk again. 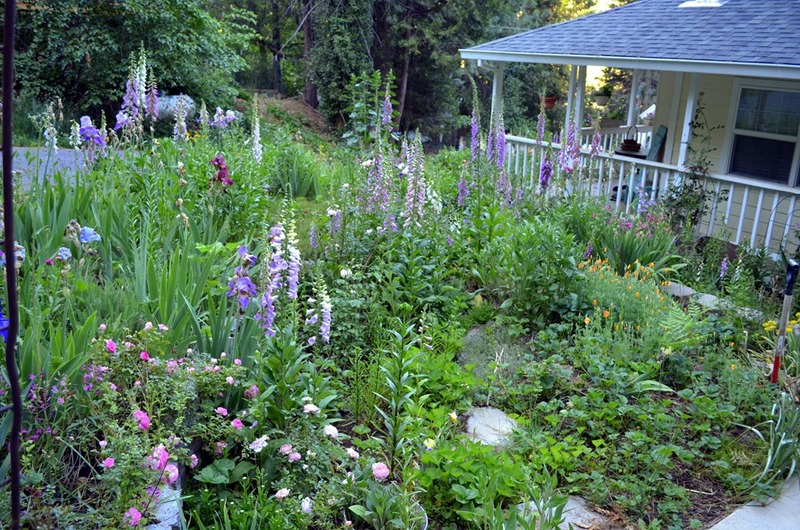 but now the roses and foxgloves are taking center stage. My Warsaw Nike clematis is still showing off and will for most of the summer. I have to keep tying it higher and higher. I love this Clematis, it just does not quit. Warsaw is snuggled up to my Grandpa Nute Rose. believe it or not, there is a pathway thru there somewhere, complete with stepping stones. Look close and see if you can find it. 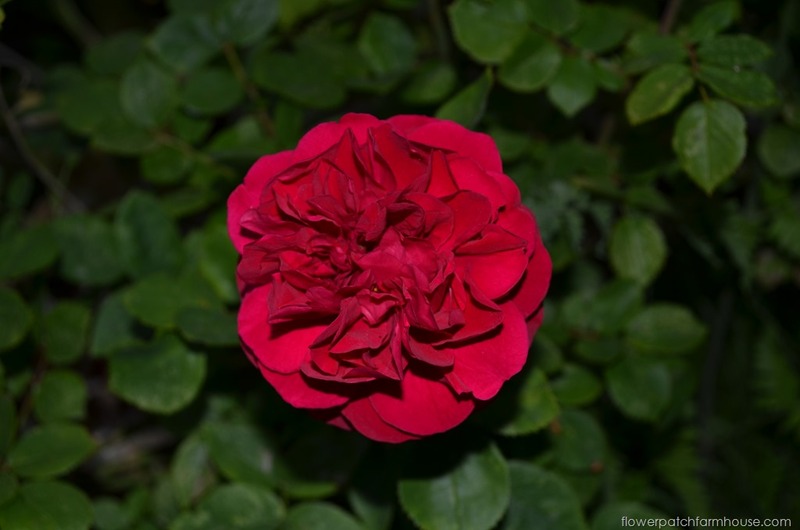 My Tess rose is nearly covering the arbor on one side. 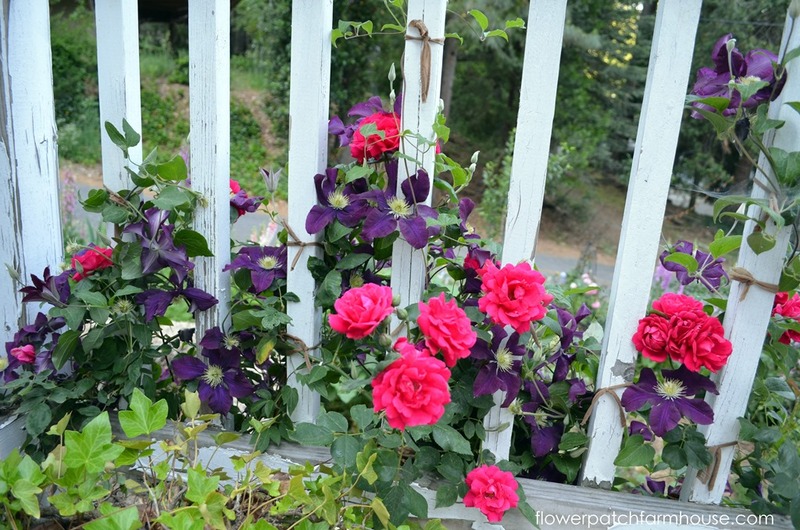 I have Eden on the other but I am planning on putting another Tess Rose in its place so there is red on both sides of the arbor. Eden will get a nice new home. 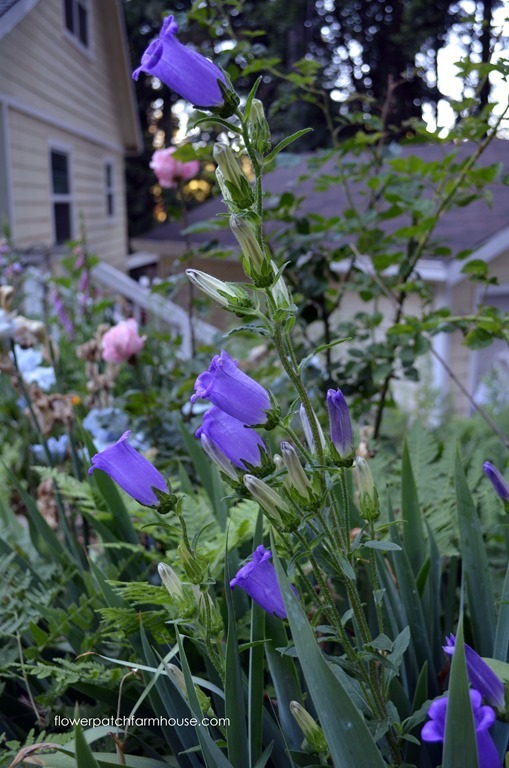 Canterbury Bells provide a splash of purple in what is now a more pink garden. Soon the garden with be dominated by yellows and oranges. 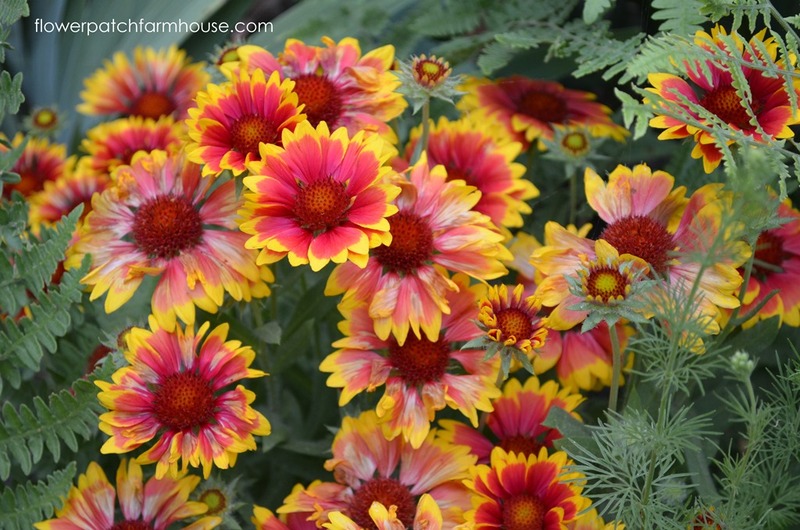 Below are my Gaillardias, another tough, drought resistant, never stops blooming performer. 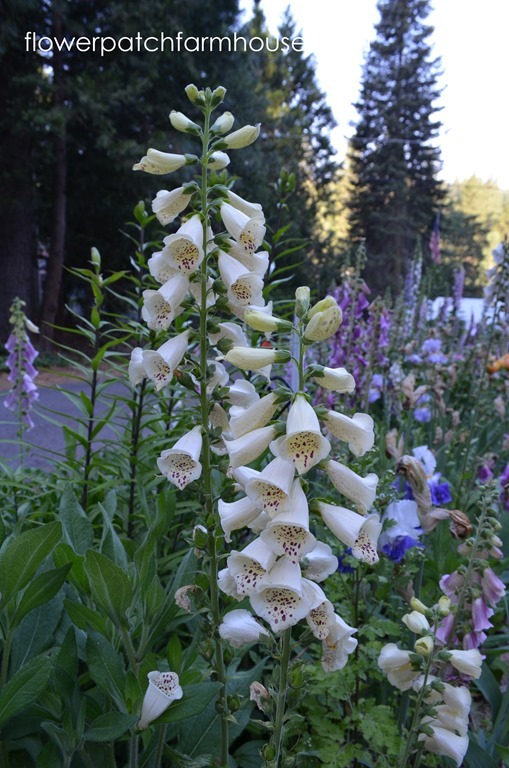 Foxglove, this one leans towards a creamy yellow in color. The only one like it in my garden. I am not sure why but the deer are not coming around. Last night they were in my neighbors back yard but they did not even glance over here. I do have some tiny wind chimes hooked to different plants and the deer are startled by them when they chime, they run off lickety split. Maybe a new tactic to discourage the deer??? Good bye for now, come again. I will have more to share…and I love sharing. I so enjoy your garden tours. Your garden looks so lush, if it was mine I wouldn’t care if I couldn’t find the pathway amongst all those lovely flowers. I don’t really mind either. I was just out photographing more to share, everywhere I look something new pops open to be admired. I had to come in, the mosquitos were starting to get voracious.